So Apple recently had a huge Keynote in Chicago that shared some great updates to both software and hardware to support education. The updates included a new iPad that supports the use of Apple Pencil as well as some major updates to Apples apps such as Keynote and GarageBand. All of this is firmly aimed at supporting education and shows a huge commitment and understanding of what is needed in schools. Beyond the app updates there was also the release of a new curriculum to again support teachers and students in the classroom. Everyone Can Create now sits alongside Everyone Can Code as a great resource to provide everyone with ideas for uses and to provide the skills to be creative in learning. Being lucky enough to attend the event in Chicago, here are some of my initial thoughts about the products. I personally switched to an iPad Pro to utilise the great Apple Pencil, making hand written sketches and notes whilst still being able to share and collaborate on documents is such a great way to stay productive. Having the ability to be creative in a range of ways on a mobile device is great. Now that the new iPad has support for Apple Pencil, even more learners can have access as the iPad is reasonably prices for the education markets. 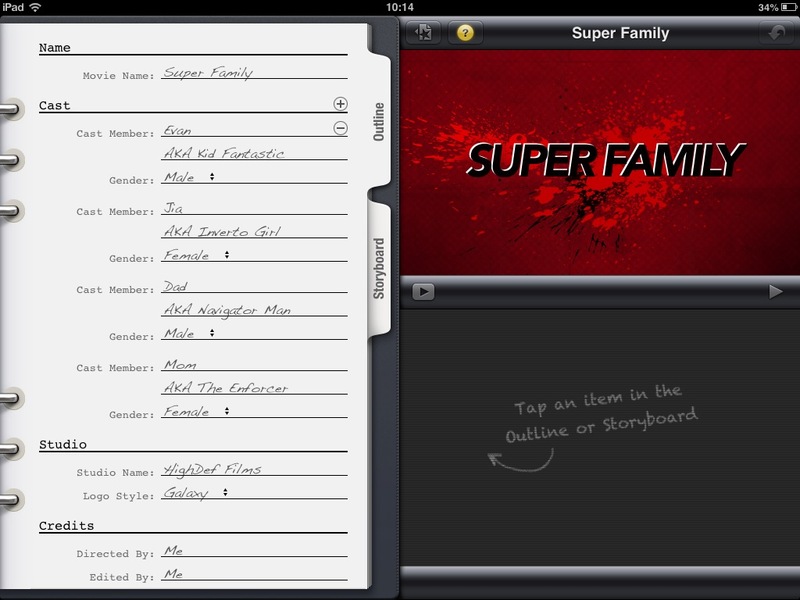 Now learners can annotate their work and really develop a personalised and creative way to demonstrate understanding. The real win though is the update to the iWork suite of apps. Pencil support for Keynote, Numbers and Pages. These apps have always been great tools, especially when you look beyond the obvious application of the tool, for example, Keynote is great for animation, not simply for creating presentations. Now that the Apple Pencil can be used within the app though, it transforms it even further. The ability to personalise presentations with your own handwriting or add drawings or annotations adds another layer to both the creativity and personalisation of learning in the classroom. It makes for a more engaged process of sharing knowledge. For example, in Numbers, learners can create a science investigation, create data to support findings and then annotate their thoughts and add drawings of their observations, all of this in addition to the already powerful use of video and images. In Pages their is also some great new updates to support the uses. You can now opt for presenter view, this will turn the created text into a teleprompt that scrolls through your text automatically. You can also add annotations to a Pages document, nothing new here, until you add in additional text and you see that all of the annotations move with the text. I am saying this is just magic as I can not work out how this is possible. Something that will really support learners and teachers is the addition of a new curriculum focused on creativity ion the classroom. With the addition of great tools for teachers, some may feel they do not have the skill set to use the tools. This resource provides ideas and a full support package to guide people through how to use these tools to enhance learning in the classroom. I was fortunate enough to be in one of the classrooms that provided a hands on experience for this. Clips was shown as a tool to support the learning of maths, creating a Clips project that used photography and sound to look at the Fibonacci sequence, then created a poem using the Fibonacci sequence. GarageBand has also received some new Live Loops. Seen as just a music tool traditionally, there are amazing opportunities to now have learners create their own royalty free music that can support presentations and add depth to their work. The Toy Box sounds range from Space to Animal Noises. Amazing updates and this only really scratches the surface of how they can be used in the classroom, looking forward to developing ideas around how it can enhance learning opportunities or provide brand new ones. Nowadays, you see Social Graphics everywhere. Facebook and Twitter are literally littered with them. From humorous or political MEMEs, to nauseating quotes about true love; for the average digital citizen they are nigh-on impossible to escape from. 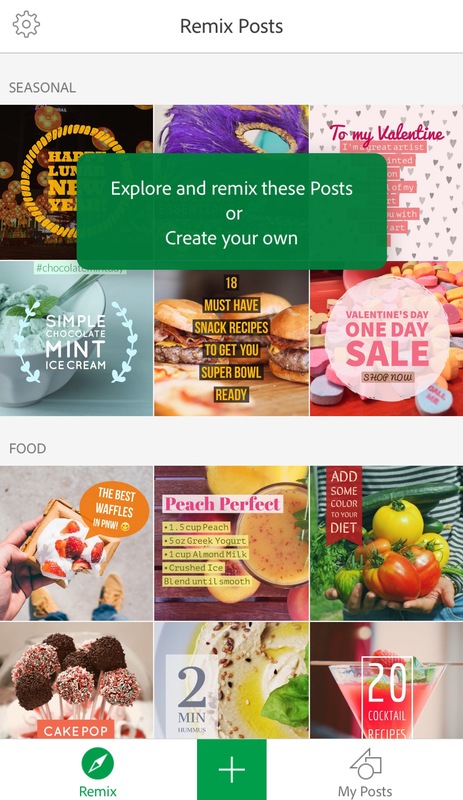 So rather than try to avoid these pieces of digital-dialogue, I would actually encourage educators to start creating their own with the fantastic free APP, Adobe Post – there are a myriad of ways in which they can be used at school and beyond! Once downloaded, you can select from a variety of ready made ‘Posts’ from the Inspiration Wall generated by Adobe. You can simply to choose to explore and remix those or even better, create your very own truly unique masterpiece. Some of the ready made Posts that you can choose from. You hit the large green ‘plus’ sign at the bottom of the screen to get started. One thing that was central to this week with Apple was that storytelling is a powerful tool. Many amazing blog posts have come out over the last couple of days reviewing people’s experiences of their week. Each one talks of the authors personal journey. So for my posts is this last reflection the end? Or just a set up to a series of sequels? One of the main things I learnt personally this week is that I can make a difference, that the work I do does matter and it is worth keeping on trying to develop others in its use. There are many times it feels as though I am pushing against brick walls or that people think its just a fad, however, this week I have regrouped my passion and realised it is what effects the students that is important. So long as students are at the heart if everything I do (and they are) then it is more than worth trying to change hearts and minds. In speaking to a lot of people that have the set up in their schools that I would love to have in mine, the main feedback I got was that I was doing great things and to carry on. This sort of support and encouragement is so powerful and has totally recharged me for “the sequel” to me journey. In the words of Duarte founder, Nancy Duarte, in my story the students are the hero of the piece, I am just the old sage that offered support. Thank you Apple, all of the ADEs I met and especially my PLN for making me see my worth, it will make a difference when I feel I am getting nowhere. So the week was already moving at a fast pace, today was a great day for really working with my PLN and others to really develop my skills. We looked at iTunes U today and seeing as I have barely looked at it I chose the basics session. just as well really as they covered the things that I really needed to look at. iTunes U for those that don’t know is a course creation tool for making courses to be accessed on iOS devices. 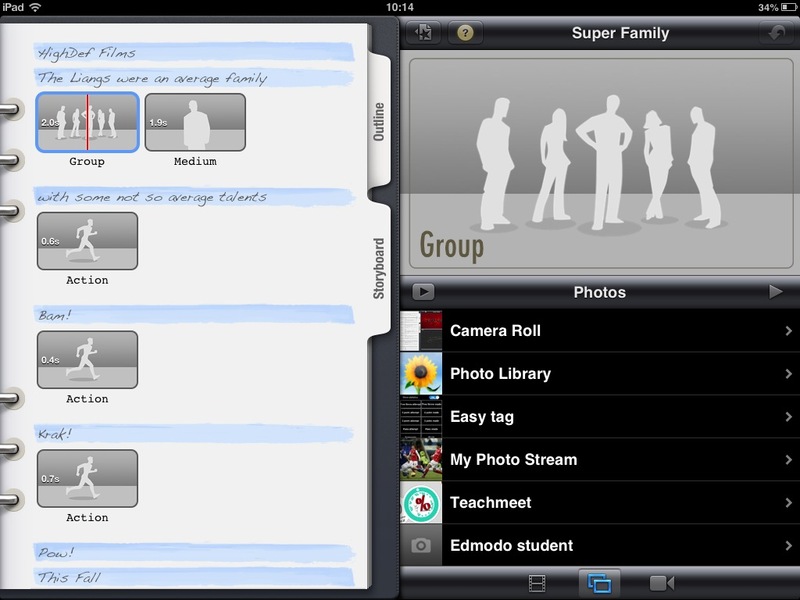 it is a way to combine resources and lead learning either directly through session led courses or at self paced level. This is a fantastic way to structure content and I can personally see the benefits for teaching students with accessibility needs such as EAL as they have options for making notes on everything from text to videos. All of this then gets synced to their notes section and makes for a great revision tool. More time followed with a chance to sit with PLN to develop practice. First a huge thank you to @ICTEvangelist for showing me the basics of Final Cut Pro, this is going to be useful in some of the work I do this year. These were the moments that really made an impact this week. The chance to share our best practice and ask questions to a room full of experts. Simple things like using an app and having others want to know a little more about it and how it works. The afternoon sessions were again small workshop style sessions that we could opt for. The first session for me was the Lennon Bus (www.lennonbus.org @lennonbus) OMG, this was a great experience and you really need to have a look at the work that they are doing. It is a fully equipped recording studio that tours around Europe to work with students of all ages. This group of amazing people run this as a charity and work with students to really develop their skills in creativity. A lot of the time they are working with students that have no experience at all but they leave with a professional product at the end. These are some examples of the work that they do. They really are inspirational. Hopefully they will be coming to visit my students as I have put in an early request with them. 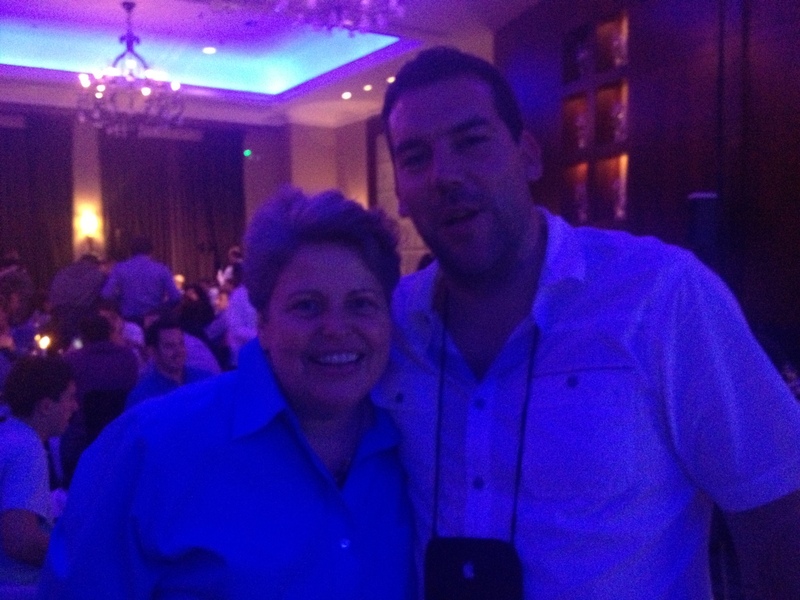 Next I did a session on Keynote led by Josiah from Duarte. This session absolutely blew my mind. The tips and tricks they shared here were unbelievable. Real magicians on the stage making simple things look amazing. I desperately tried to keep up with everything they were doing but definitely had to rely on my notes and those of others to develop my skills. They were showing us how to use the built-in tools to create amazing keynotes that can be used in interactive books. The last session was improv games. This was led again by the excellent Rebecca Stockley. This was a great opportunity to see some more games that could be used with students or staff to build collaboration and trust. We started in a circle and were instructed, without talking, to form a square, then a triangle. This was quite an interesting tool and really got everyone thinking about everyone else in the group. Next we were asked to try to make an equilateral triangle with 2 others but were not allowed to let them know we were using them. Each person in the room (nearly 30) all had chosen 2 others and had to form a triangle too. As we moved around we were affecting others triangles and so it continued. We never actually formed a still shape but it got extremely funny at times. Next we had to create a human machine. one person would start with an action and others would join in with an action that was a reaction to the one we were next to. We also had to add in a sound to go with the noise. As it grew the person that started had to slow down and so you could hear as the collaboration was happening. Again a great game to build collaboration into a group. These games were great fun and we looked at how they might be used in subjects as games to break away from the norm and get groups working together. We also did some more work with Rebecca that she called recess games. We were doing some work as a PLN and she asked us if we wanted to try some things. Glad we said yes. We played a couple of great games. First up the Bunny Bunny game, a great game for building trust, then a game where you go to the middle of the circle and make a pose declaring what you are, then someone joins adding to it and one more person add. We started with, a tree, an apple and a worm. The first person then choses an object to stay and the game continues. Very funny. So many games it is impossible to get them all down in this blog but really useful and inspired me to possibly take some of the drama classes just to try them out with students. This day started with the excellent presentation from Duarte, by Nancy Duarte herself and Josiah the Senior Accounts Manager. Between them they talked us through the power of presenting. The presentation was titled Resonating through contrast. The message i received was that in order to reach people in a way to make a change you need to find a common message, to make them see where you are coming from and how what you are saying will change them. If you can identify their passion, you will resonate with them. It was all about creating a story and making links to great stories told in film and how we as educators fit into that model. We as teachers are not the hero of any story but the sidekick. The hero is the learner. An example given was from Star Wars, the students are Luke and the teacher is Yoda. When creating presentations or delivering information you need to construct it as a story. to fully understand this I highly recommend her book. Particular attention should be given to her study of great speeches that have been made and the model that she has created as a result. Next up Josiah took us through the visuals. great simple ideas about how to make presentations look great. Use of white space, taking the noise out of a visual. What is the thing you want to draw attention to and what is a distraction? Clear unified style consisting of colour scheme and fonts. An easy way to check this is the glance test. Look at something for a few seconds and then say what you were drawn to. If it wasn’t the main thing, then it needs to change. He also spoke of the flow of things. Where are you drawn on the page? Are you drawn to the right thing? Such great ideas learnt here about the visual presentation that will have a huge impact on my work. Next up was a session on using iBooks Author. Having made a couple of these I went for the advanced session to get some extra tips. Some great ideas in here thinking about the Duarte presentation and making books accessible to all. We learnt all about making sure the books flowed well and looked good. We also looked at using widgets in the books to make them truly interactive and how using iAd producer you can create your own widgets too. A good next step would be…..
this was a great tool for developing ideas and getting quality feedback. That evening I had the great opportunity to take part in a 1 in 3 series of presentations to the Institute. 1 idea given in just 3 minutes. I presented on some of the work I was doing on Numeracy in Sport and the lunchtime club I had set up. This was a great experience presenting in front of not only fantastic educators but also Apple themselves. It was a very nervous affair but received some great support and positive feedback so thanks to all. Overall a great day again and really starting to feel like I do make a difference doing what I do. 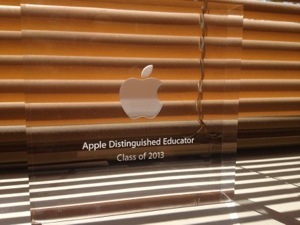 For the last week I have had the great privilege to take part in the Apple distinguished educator institute in Cork. I met great educators and heard from some amazingly inspirational speakers in what can only be described as a whirlwind of a week. This post will be a summation of both the things I have learnt and a reflection on the people I met and how they have inspired me. First session was an orientation, a chance to get an idea of what the week was about. Advisor, Ambassador, Advocate and Author. That is what ADEs are. We heard about what we would be doing this week and were told that the people we meet would become friends for life (at this point I hadn’t met all those people who would fit this bill but no truer words have been spoken) The week would be a mix of inspirational talks, smaller workshops to meet our personal needs, opportunities to get expert advise and a chance to work within a PLN of similar thinkers. This institute covered Europe the Middle East and India bringing together over 200 of the most innovative educators around, a real mix of cultures, languages and experiences. This would lead to a real mix of ideas and possibilities. In these sessions we also looked at team building activities with the utterly amazing Rebecca Stockley (improvlady.com @rebeccastockley) I will say more about this great lady later but the session was designed to break down every barrier in the room from language to the usual British reservations of things. First find a partner and find out how to say hello and thank you in other languages. Next, a game of simply counting from 1 to 3 with a partner. Alternate between each person counting in sequence. This is where we were introduced to ‘the failure bow’ an opportunity to accept failure and to celebrate it. When mistakes were made we cheered, this is a great tool, especially for my students that fear failure. We then adapted the game, taking out the 1 and replacing with clicking fingers. This continued, trying, failing, celebrating, changing partner, failing some more. Such a simple approach but very powerful in breaking down barriers. Next we looked at a game to open up conversations. Yes, and…. n this game we had to tell a story, a random story about a place we may like to visit. One person starts with, do you remember when we….. When they are done with their statement the next person has to start with yes and. In this way the statement from the previous person is positively accepted and then built on, rather than being dismissed. It makes you really listen to the other person, co creating a story and building the skills of adaptation and acceptance. This would be the first of many references to storytelling being a very powerful tool to be used in education. Next we looked at Accessibility. Learners with a range of needs have had their access to the world changed through technology. Here we learnt about the whole range of options available on iOS devices to really help with this. From voice over to closed captioning. When creating any content for learners it needs to be added in. This was a really powerful message and really made me think about the things I make and how to adapt them or enhance them to allow everyone to access. Next up. Looking at the SAMR model for using technology in the classroom and what it is doing to the learning. 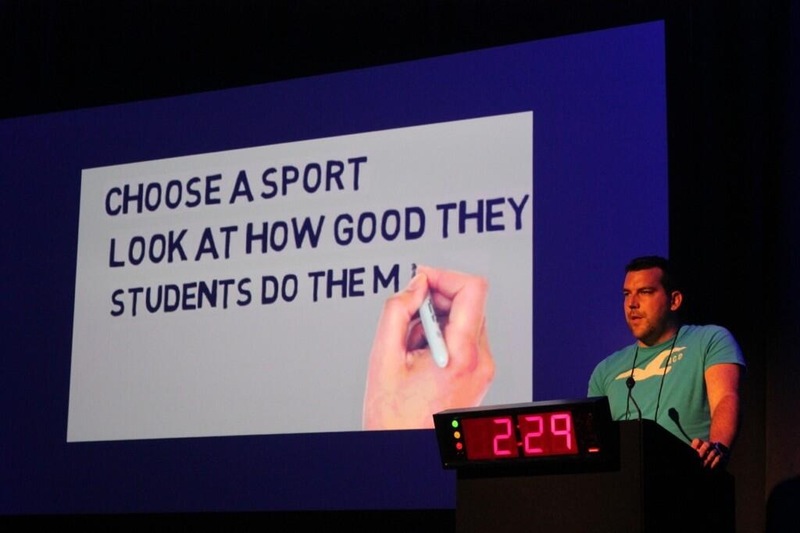 Lots has been written on this by Mark Anderson @ICTEvangelist and I urge you to read his work as it really makes it clear about the purpose of using technology in education. Finally we were treated to a great talk from Bill Frakes @billfrakes billfrakes.com. he is a world-renowned photographer. he was talking to us about digital storytelling. Basically the message was that our brains are wired for storytelling, it’s what we remember about things we are told and that devices we use enable us to easily create and share these stories. I urge you to look at his work as it is simply inspiring. He also shared a video with us that was really special. That was all just day 1 of the institute. 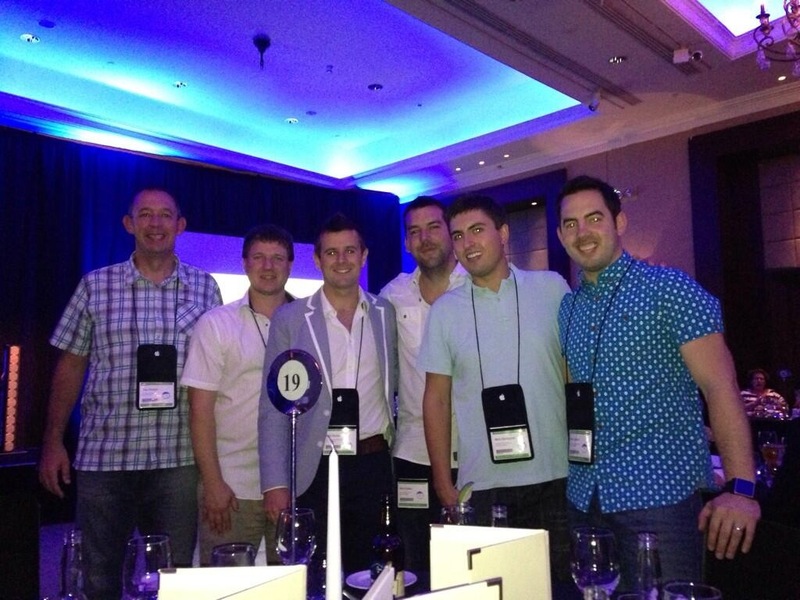 Some amazing experiences and some awesome friends made, and still 3 days to go….. So after years of always being asked “what are we doing next sir?” and “what is that?” I thought it would be a good idea to create some promo videos that I can share with students to introduce what they will be doing next and develop a sense of excitement about what is coming up. 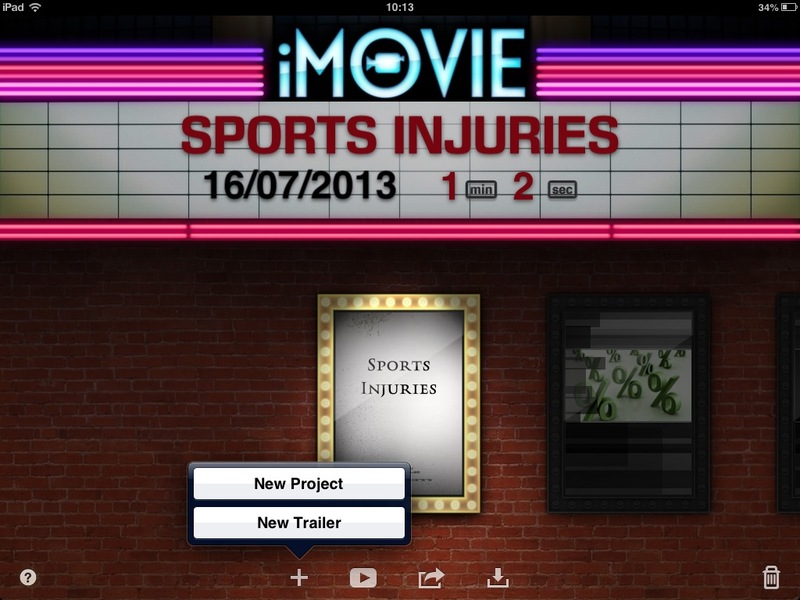 To do this i chose iMovie on my iPad as it is really simple to create professional looking trailers. You then have a choice of pre made trailers to choose from with a range of themes. You can preview the film at this point to see what the sound and text look like. They have video installed as a demo but this is removed when you select it. the text does stay however but this can easily be edited to meet your needs. Once selected you have a storyboard to complete, this is as simple as selecting clips or pictures from your camera roll and they are trimmed automatically to fit. The following screen shots go through the process and show how easy it is to achieve. So I have now created some sport promo videos to launch the upcoming sport and also BTEC videos to introduce new modules of study. I am now hoping to use these to make a digital prospectus for the department to use at parents evenings and open days. Check out Gavin Smarts’ blog post for further information. 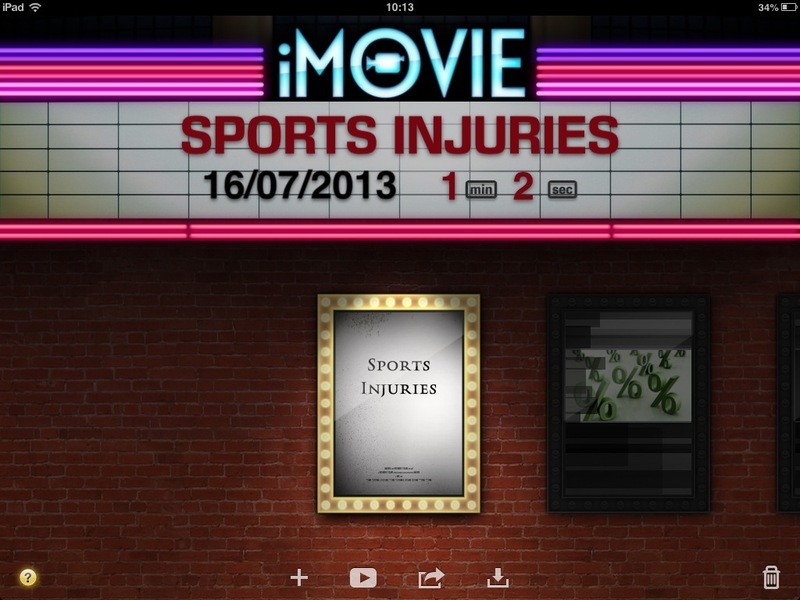 A great example of how to use iMovie in lessons. So after a very busy year of developing ICT in the PE department at City Academy, Bristol, I think it is time to review what has been achieved, do look at impact on teaching and learning and to see what can be improved for the next academic year. We started last September with every member in the department having an iPad, this was supported through our Director of Sport who helped fund the project. Over the course of the first month we had to ensure that all staff were equipped with the skills to feel comfortable using these devices in their lessons. In order to achieve this I set up several processes. first an audit of staff (via Socrative) to gauge how they felt about using the devices and where they felt they needed specific support. This then impacted on the creation of peer mentoring groups where each member of staff was paired with someone to help develop their practice. This was a great start to getting a familiarity with the devices and enabled me to train one or two staff that were more familiar with the devices and they then spread out this to others. Ubersense or Coaches Eye for performance analysis. Next we looked at Learning walks to look at how the devices were being used, nothing formal, just to get an idea of what was being done. This needed to be shared and so a department blog was set up to allow staff to record what they had done in lessons and the difference it made. Where staff were reluctant to write a blog themselves i recorded it for them to ensure their successes could still be shared. This has now developed into a department newsletter that goes out once a term to highlight good practice and also highlight good blogs to staff and CPD opportunities. The focus was not solely on the use of iPads however as it is important to look at lots of areas in which ICT can develop our practice. We also trialled the use of Edmodo with specific groups. Again just looking at engaging a couple of staff that showed an interest and trained them up on the use. these staff then gave feedback on successes and areas that needed attention which eventually allowed us to agree to use it as a model for Sport to use in BTEC, GCSE, KS3 and with our sports teams organisation. This will be launched to all of our groups in September. Google Drive was also adopted across the whole department due to the benefits of collaborative spaces. We used it at first for our BTEC course where I had set up a tracking and feedback system for students to allow for greater independence of students. This coupled with Edmodo helped us really look at extending student engagement beyond the classroom as they had a place to review feedback and find further reading to impact on their studies. In showing this to staff it was great to see how it inspired them to streamline other areas using the same system. for example our detention system was changed to Google so we could all add in students that needed detentions and the person on duty could easily check them off. One tool that I found to be really useful, specifically for tracking progress of understanding in theory lessons was Padlet. This enabled students to record their own developing ideas and for me to track how they were progressing in class. It also served as a tool to document their learning to then reflect on when they had coursework to complete. We also looked at using ICT to embed literacy and numeracy in our lessons. Again just trialled in specific years, we used systems to allow students to reflect on their work. Homework was set on Edmodo via quizzes or as a reply to a note, just asking students to reflect on what they had achieved and something they needed to improve. Alongside this we also encouraged a literacy focus each module such as use of capital letters or grammar. With numeracy we looked at using our iPads to analyse performance and look at averages and percentages. This was only I trail that I focused on since Easter but students really engaged in it and it will be developed next year. Observations in March came out at 100% Good or Outsatnding. In all sessions there was evidence of the use of ICT, this was a great outcome and showed the real impact that the training and awareness had. Student progression in BTEC was also enhanced. For example Y11 results showed a change from 19% to 30% at distinction level and overall 71% merit or above. One student who was failing at Easter used the system to impact on his own work to end up with 4 c grades when he left in May. In the past this has not happened due to having to track students down to let them know what they needed to do. Again this needs further work to ensure all staff use it effectively but has shown impact. Interventions were therefore a lot swifter using this system and students were given extra help where needed. 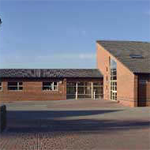 Today I had the great pleasure to spend the day shadowing the Co Head of Meadowside primary school. The idea was for me to gain experience of how SLT operate in a different school. It really was a fantastic experience which I learnt a lot from. Firstly celebrating success. As a school success in all areas was celebrated on a weekly occurrence. Everything from being noticed for positive behaviours in school to birthdays that week. you could see straight away the impact it had on the students just from the way they walked up to the front. the assembly itself was being run by Y6 pupils and they were doing a fantastic job too It got me thinking about how to integrate a similar idea into secondary schools. If it has such an impact can it not be easily replicated? I’m sure lots of schools do this, but with so many students in the school, how can you ensure all are covered? Next was an opportunity to sit in with the two Co Heads and discuss student progress. Obviously I am not going to share details but the way things were done definitely got me thinking about structures i could adopt in order to replicate the same outcomes. regular meetings about progress of different years with the teachers that teach them. Really giving staff the opportunity to drill down into the data to see what students needed intervention and which were making better than expected. This way staff would have a really secure knowledge of their groups and where they were going. I will definitely be implementing this next year. Finally the opportunity for parents and students to respond back on their reports. A separate sheet that invites comments on their thoughts, feelings and targets based on the report written by the class teacher. This was a great opportunity to really engage the parents into the life of the school and to engage in their students progress, raising concerns or way that they could further help students. The process worked both ways too and I was able to inject some ideas on things that could help Meadowside. Spelling Bee competitions to help with the SPAG tests that they were doing in school. Blogging on sports fixtures for the boys that enjoyed football but were reluctant to read and write. I also had the opportunity to discuss ICT and PE with their coordinator and hopefully some further collaboration can come from that. So it has been an interesting year this year. Lots of highs (TMClevedon, TMBrum, TMBrock, Getting ADE status) and some challenges (what doesn’t kill you makes you stronger) All in all it has seen the biggest change in my professional practice since my NQT year. On reflection I have set myself new challenges for the next academic year. To make my Curriculum area outstanding. Not just from an Ofsted point of view, but in every way we can. To help the team develop to become real beacons of excellence in school and outside of school. Not an easy challenge granted, but need to aim high. The issue is to work out how to do it. Ensure Teaching is the best it can be in every lesson. Is an Outstanding Ofsted lesson possible every lesson? It should be. the plan is as a department to really analyse what we do that makes us outstanding, to really know what it looks, sounds and feels like and then to find the basic ingredients that make it that way. As a team, discussing this will bring out all of the great things that we do everyday and then embed it into everyday practice. Developing learning walks to see outstanding elements, to celebrate the successes we have and to continue the sharing of outstanding practice. Where areas are found that need developing we look at our combined strengths to help combat it. Peer mentoring, coaching etc will be used to intervene and develop staff to see their full potential. Share that good practice outside of the department. In reflecting on what we do as teachers in detail, we can see that teaching is teaching, regardless of subject. if we are demonstrating outstanding lessons daily and we know what the nuts and bolts of this are then surely it can be transferred across the school. So can we then be seen as outstanding in our leadership in the school? Developing peer mentoring across curriculum areas, the sharing of simple ideas etc. Develop meeting time to be productive and purposeful. At times meetings can become a moaning space or a time to give out notices. i want to develop these into really looking at developing new ideas, to engage in quality discussion that results in impact points to develop the department and students learning. I have seen the power of really bringing together a diverse team to discuss a new pedagogy and adapt it to the needs of our students. In doing this we should have real impact on the curriculum we deliver and student experiences. So with the help of all the great people on twitter and the great ideas that are spread around I will be sharing and moulding an already great department to one that hopefully continually evolves and is adapting to new ideas. The digital transformation has shown what is possible and will continue to develop but we will also be looking at our impact on Literacy, Numeracy, EAL, FSM and how we can impact whole school. If we can do that and work in that way, then hopefully our students will too.